Q: What is "The Matrix" about? Q: What are the differences between the UK release and the uncut release? 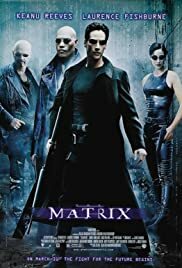 The Matrix is one of the best sci-fi movies ever made! I read it used to be one of Tarantino's favourite ones too, but the second and third ones ruined the whole beautiful idea and brought the overall value of the movie pretty low. The story/philosophy is mind-blowing and the directing, special effects and the overall performance absolutely amazing. Thomas Anderson (Keanu Reeves) is an IT specialist in his day-to-day job and a hacker (alias Neo) during the night. He is looking for Morpheous (Lawrence Fishburn) who could give him the answer to the question 'What is the Matrix?' The more relevant questions to ask, though, would be "How would you know the difference between the dream world and the real world?" and "How would you know if what is happening right now is not a virtual reality?" 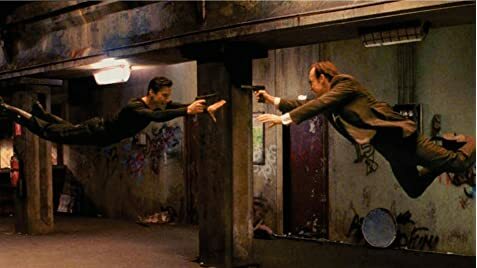 The antagonist, Agent Smith (Hugo Weaving), is one of my favourite characters. Just watch his mouth - the way he speaks, the tone and pitch of his voice, his pronunciation, even the pauses he makes while speaking, have an incredible effect on the viewer. The concept of people being like cancer to this world is absolutely astounding. Carrie Ann Moss was the perfect choice for Trinity because any other blond, big lipped, big brested 'bimbo' would have totally ruined her character. A few more questions pop up in one's mind. "Haven't we gone too far creating such super intelligent machines? ", "What if they become so powerfull one day and take control over humanity?" The acting's just amazing, all of them, no exceptions. The 4 leading characters though... (Morphy, Trinity, Neo & Agent Smith) - (yes, to me there are 4 leads) - I love them all. I can't imagine the movie with any other 4 actors but L. Fishbourn, C.A. Moss, Keanu and H. Weaving. They were born to play those roles. Whoever did the casting did a terrific job. Bravo!